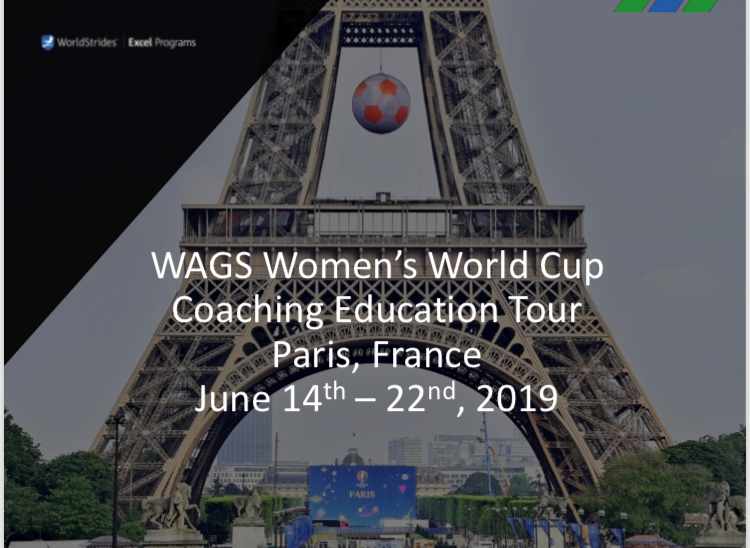 WAGS is inviting female Head Coaches who had teams that played in the WAGS Tournament 2018 to apply to embark on a groundbreaking International Coaching Education Trip to France in June, to include attending two World Cup Matches. 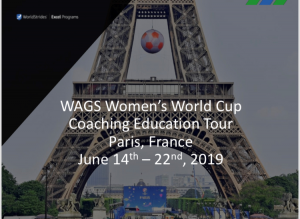 We are thrilled to offer this opportunity and feel it will be an amazing experience, the selected coaches will be announced in early February. Application and criteria was sent to the coaches. Please read the press release below from WorldStrides who we have partnered with to offer this trip.